I want to address acu­punc­ture treat­ment for insom­nia which is one of the most pre­val­ent con­di­tions I have to deal with. In many cases, people will come into my acu­punc­ture clin­ic for pain and dif­fer­ent sorts of mal­ad­ies and not think to men­tion insom­nia as a dis­tinct prob­lem. However, in my ques­tion­naire for new patients I ask ques­tions regard­ing the qual­ity of their sleep. And I am abso­lutely over­whelmed by the extraordin­ary breadth and depth of this par­tic­u­lar con­di­tion in our soci­ety. Insomnia from a tra­di­tion­al acu­punc­ture per­spect­ive ia an imbal­ance of energy. In oth­er words, dur­ing the day we have the Yang energy which moves our hands and helps our minds to work and sup­plies blood to the muscles and this is quite nat­ur­al for this to occur. At night, what should hap­pen, accord­ing to Japanese acu­punc­ture, is that the Yang energy should go back inside the body and nour­ish the vital organs. This is very import­ant from a pre­vent­at­ive medi­cine per­spect­ive – it is abso­lutely vital for health and well­ness. So insom­nia is not just lack of sleep, it is also going to affect the abil­ity of the body to regen­er­ate and heal at night whilst enjoy­ing qual­ity sleep. This is just so import­ant for longev­ity, for qual­ity of life in so many instances. So what hap­pens with insom­nia is that the Yin energy, which is the con­tract­ive or intern­al energy of the body, is not strong enough to draw the Yang energy back in deep. Thus what will hap­pen is the Yang energy, or act­ive prin­ciple, will con­tin­ue to cir­cu­late at a more super­fi­cial level dur­ing the night. This can res­ult in things like pal­pit­a­tions and an inab­il­ity to turn off the brain which keeps turn­ing and turn­ing. In some cases we get situ­ations at my acu­punc­ture clin­ic where people suf­fer from rest­less legs at night – the Yang energy still in the legs not return­ing to the body to nour­ish the intern­al organs. This is a tra­di­tion­al ori­ent­al medi­cine per­spect­ive on insom­nia. Insomnia adds a very debil­it­at­ing factor to this con­tinu­ous men­o­paus­al con­di­tion – inter­rup­ted sleep or the inab­il­ity to get to sleep or wak­ing up early. All of these par­tic­u­lar aspects of insom­nia can have a very adverse impact on the qual­ity of life. 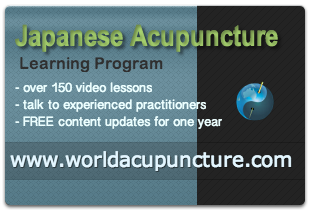 Acupuncture is based on bal­an­cing the Yin and the Yang. From that per­spect­ive, I have found it extraordin­ar­ily effect­ive in drain­ing the Yang energy, the act­ive prin­ciple, back inside the body dur­ing the night and assist­ing the patient to enjoy qual­ity rest and to wake up the next morn­ing happy, reju­ven­ated and rein­vig­or­ated. Acupuncture treat­ment for insom­nia has proven to be very effect­ive because of this energy bal­an­cing, enabling each form of energy to func­tion as it should.